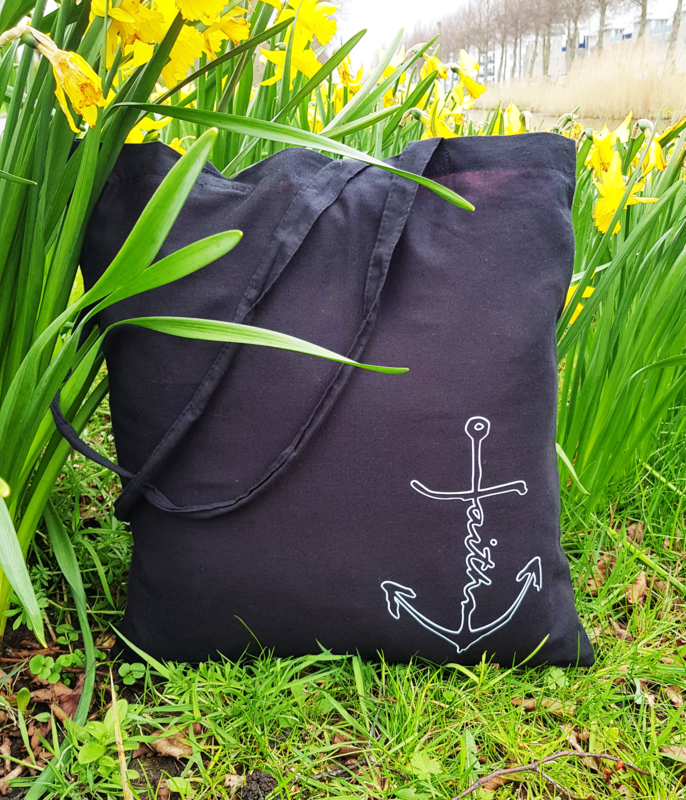 Black canvas bag with an outlining of the Faith Anchor. 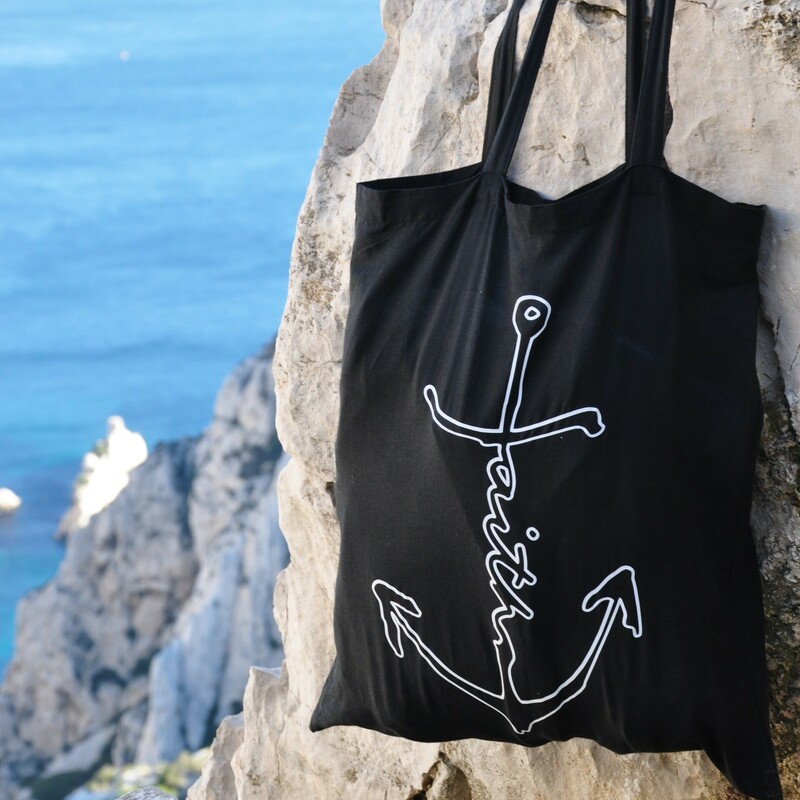 Colors availible: white, baby blue and gold. 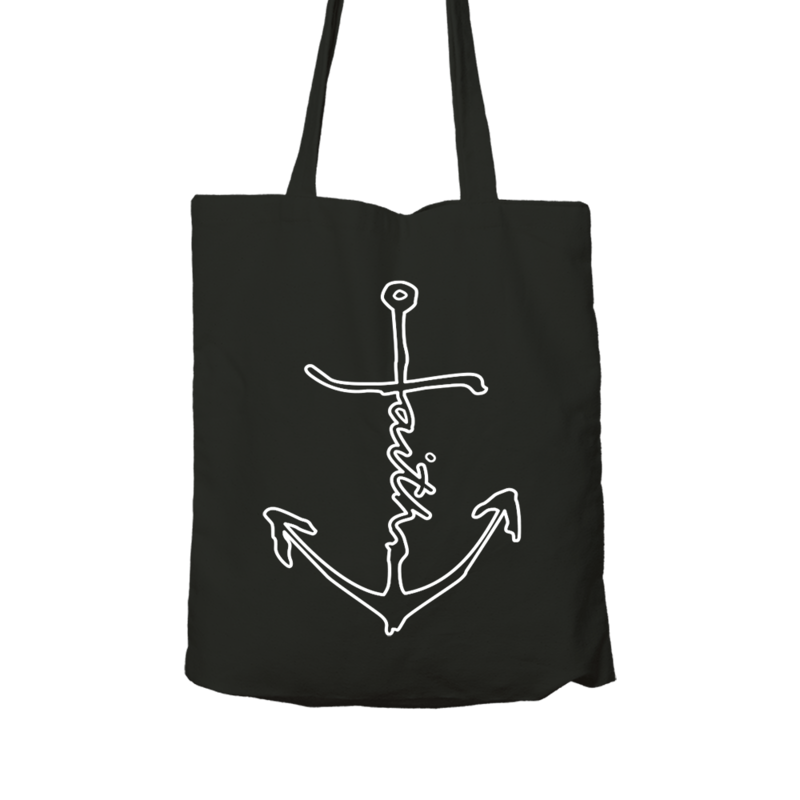 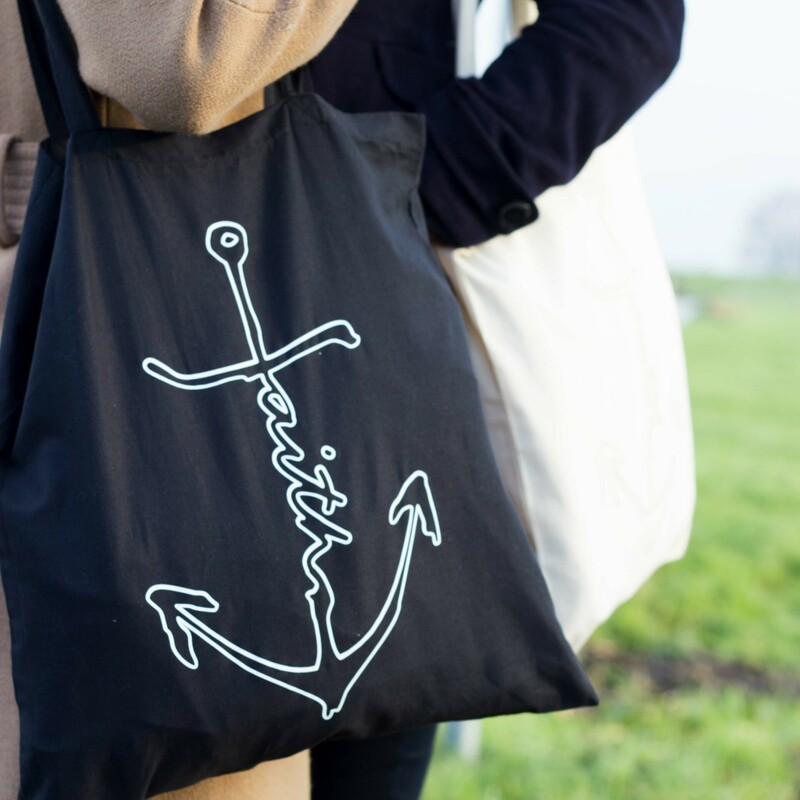 Try the black canvas with the outlined Faith Anchor. 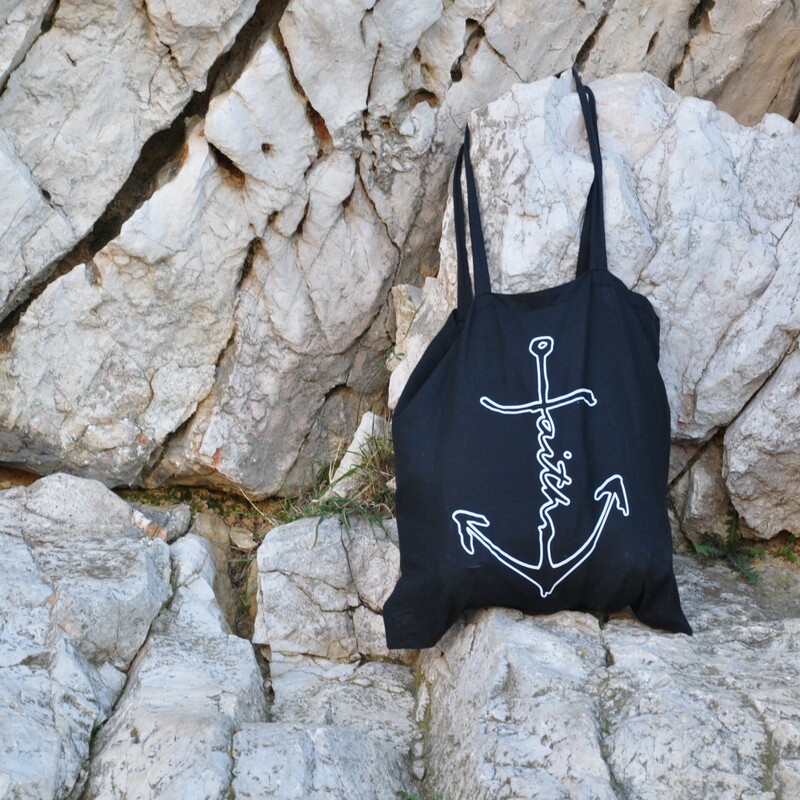 The lighter print colors stand out very well on these black bags! 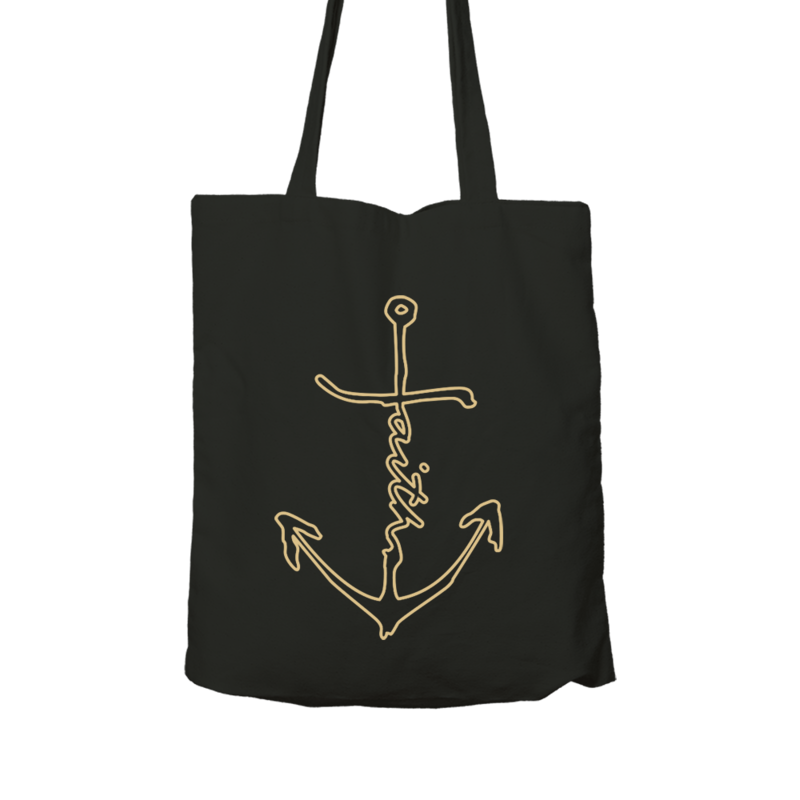 Printing colors availible: white, baby blue and gold.